Leadership is poorly understood, with the only institution in our society that takes it seriously being the military. The dominant styles of leadership are those which create results by stealing from the future – culturally, environmentally and financially. We call this “Boss Style Leadership”. There is another type of leadership that delivers sustained success and avoids stealing from the future. We call this “Authentic Style Leadership”. We at Holos are campaigning to make authentic leadership universal in our society. Authentic Leadership in government, business, education, healthcare and all other sectors. We started this through our consulting work in business and this autumn we will start to do more. Our new book “Stealing from the future, and how you can stop it” will be available in the next four to six weeks. 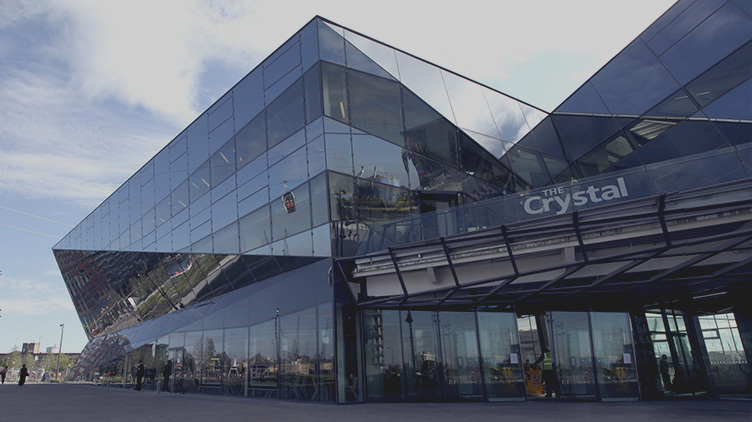 We will also be running four open leadership and change workshops at The Crystal, our favourite ‘museum of the future’ in London Docklands in November. If you have an interest in, or know someone who may be right for, one of these workshops we’d love to hear from you. Aimed at business leaders and decision-makers, there are four distinct subjects. They work together or individually. 1. Megatrends and You – 7 Nov: a look at the three major trends across the world creating the experience of constant change. An examination of the new styles of leadership and personal responses that can be successful in a constant change environment. 2. Sustained Success – 8 Nov: a deep look at organisational responses to constant change, and the opportunity to move from conventional to post-conventional business modelling. How to shape and head for sustained organisational success in a constant change environment. 3. Intolerable Toleration – 22 Nov: aimed specifically at climate action and the feeling of helplessness many feel around this immense topic and trend. How do I get over my fear, scepticism, or helplessness, and take committed and purposeful action in my own sphere of influence to specifically address climate change? With Mac Macartney, Founder of Embercombe. Book all 4, get one free. You may have an interest in a workshop but cannot make the date. We would still love to hear from you if so, as we may schedule more. We want to work with as many people as possible to change the way that leadership is done and to change our expectations of leadership, so that we no longer elect, select, recruit or promote leaders who are unable to deliver sustained success. If you would like to be part of this movement please look out for the book, we will let you know when it is available. and get in touch using info@holoschange.com if you would like to come to one of these sessions. This entry was posted in authenticity, Leadership. Bookmark the permalink.